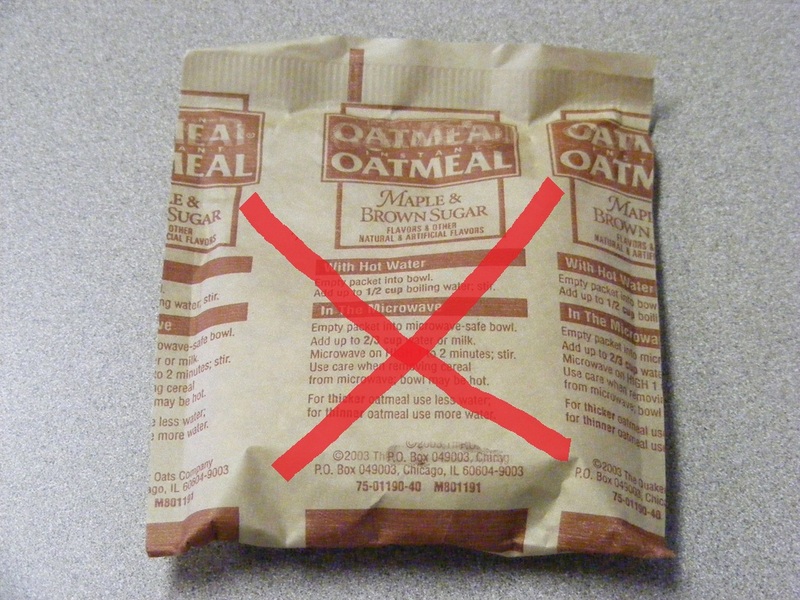 I've tried really hard over the years to force myself into eating and enjoying those instant oatmeal packages, but I never end up finishing a bowl of it. Even with the wide variety of flavours out there, I still find that it tastes like chopped up cardboard mixed with hot water and apple cinnamon flavouring. Blech! The good thing about those little oatmeal packages are that they are cheap, questionably healthy, and make a QUICK breakfast for those rushed mornings. Moving on to bigger and better things, I discovered steel-cut oats! 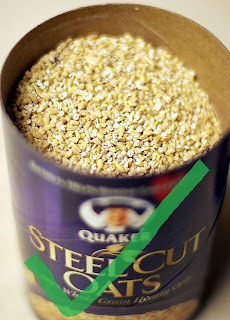 Steel-cut oats are whole grain groats (the inner portion of the oat kernel) which have been cut into only two or three pieces by steel rather than being rolled. They have a much nuttier taste and are slightly chewier which is why I love them. You can make a huge pot and refrigerate it for the week. Add some water and stir before you microwave. 2. Add in water and bring to a boil, when the water starts to boil bring the heat down to low and simmer for about 22 minutes. 3. 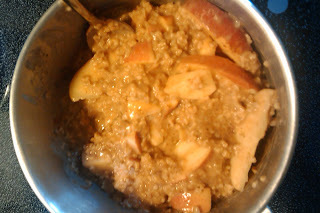 Add cinnamon, brown sugar, nutmeg and apples and stir. After 5 minutes add the tbsp of cream and stir for another 2 minutes. 4. Remove from heat when the oats have reached a texture to your desire. Another minute. 5. Sprinkle with almonds and serve hot! 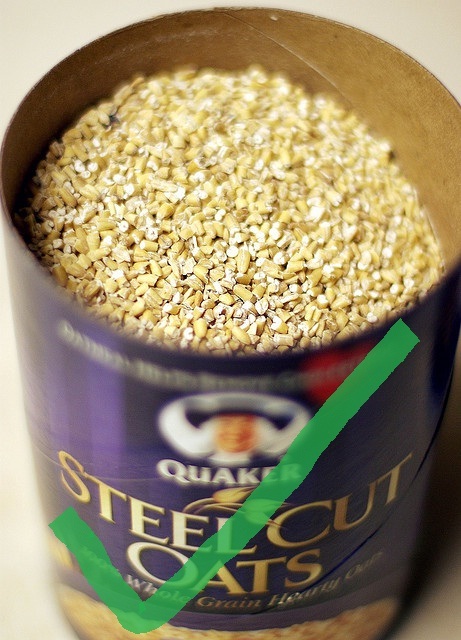 I've been enjoying steel-cut oat for years. I'm so glad they're catching on because I don't have to search all over creation to find them anymore.